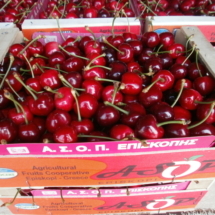 The Episkopi Trade Union distributes annually approximately 500 tons of cherries. 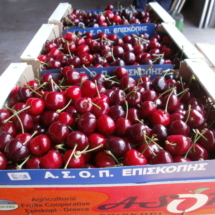 The production comes from fields cultivated in areas of the plains and the mountains of Imathia. 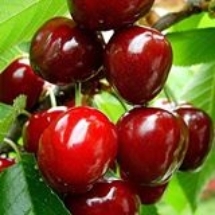 Continuous monitoring of land and harvested at the appropriate stage of maturity helps substantially to consistently high quality fruit. 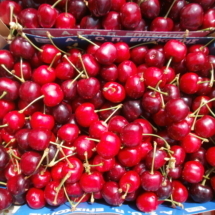 The package is made during harvesting because of the delicate nature of the fruit. 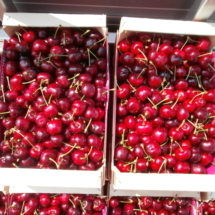 Then precooled in facilities maintained by the Association in accordance with European and international standards and moving from there in all directions with refrigerated lorries, thus ensuring freshness and taste.